What does it mean to be a teacher (trainer)? How much can you trust the students (training participants) with the learning process? I have a teaching degree from Virginia Tech and when I graduated in 1986 I thought I knew the answers to these questions. And then reality hit me square in the face. I was a classroom teacher in Manassas, VA (just outside of Washington, D.C.) during the 1990-91 school year. This was one of the hardest and most frustrating jobs I've ever had. And it wasn't difficult because of the kids - - I had learned how to work with difficult to teach kids when I was a juvenile corrections officer. What was the source of my frustration? I couldn't seem to put my finger on it exactly. Until I found John Taylor Gatto. Just after I resigned my teaching position, I read a speech written by Gatto. The speech was entitled Why Schools Don't Educate and was delivered when he received the New York City Teacher of the Year Award (he taught in the classroom for 30 years). Reading the speech caused me to stop in my tracks. I felt as though Gatto was speaking directly to me. Gatto spoke about teaching and learning in terms I had never heard before. Gatto helped lift the fog I was in and provided me with a clear and hard hitting explanation of what it really means to be a teacher. I began reading everything I could find by Gatto. His writing has changed the way I look at the world of teaching and learning. 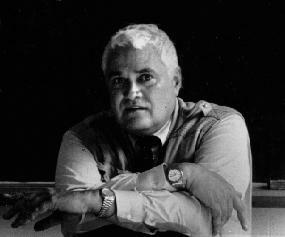 Now, 15 years later, I have the great pleasure of sharing an audio interview I did with John Taylor Gatto. I interviewed him today and I found him to be a generous and gracious man. And did I mention he is brilliant? I love the way he uses the English language - - I think you'll enjoy hearing him speak as well. Are you looking for a teambuilding activity to help you teach goal setting and achievement? If yes, you'll likely find this activity to be a powerful one. People work individually or in teams of two to place as many drops of water on the head penny (coin). The game is over for you when water spills off the penny. 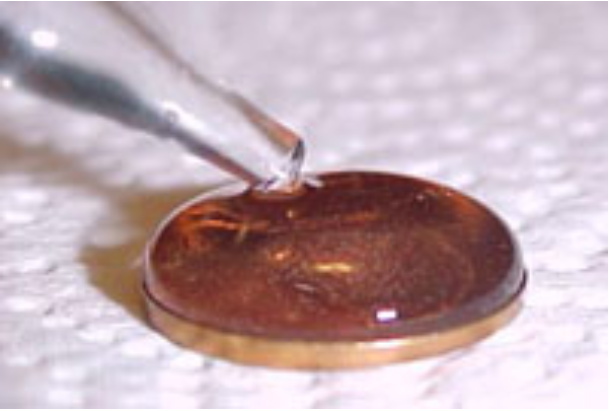 You might be amazed at how many drops of water will fit on the head of a penny. Using the same teambuilding game, you can help participants experience what happens when we contaminate the teams we work on. Just add a drop of soap to the water you supply and the surface tension is minimized which causing a dramatic reduction in the number of drops that will fit on the penny. Would you like to lead this teambuilding game with your group? The Dice Racing teambuilding game provides an interesting dynamic in that participants get to work individually and work as a team. When one person has the pen, everyone else is trying to work quickly as a team to roll the dice and get doubles to take the pen away. This dynamic of constantly shifting alliances makes the game really fun. I often use this teambuilding activity during a training event to take a break from the “serious” material. Adults and kids love playing this game. Over time you'll receive over 100 new and different lead-it-yourself teambuilding game write-ups for FREE. CLICK HERE for a sample teambuilding game write-up. Do you need immediate access to my growing online archive of lead-it-yourself teambuilding games? When you purchase my popular Multimedia 3-CD Training Bundle, I'll immediately send you the password to my online archive of teambuilding game write-ups. Learn more HERE. Teams In Trouble: Lies, Threats and Accusations! A Teambuilding Nightmare. How would you handle lies, threats and accusations (and maybe a mutiny) in the middle of your next program? A couple of years ago I was contacted by the principal of a public school and asked to deliver a day-long teambuilding games workshop. The idea was to help his teaching staff learn how to lead teambuilding games in the classroom with their students. I regularly lead this type of workshop for educators so I expected the “normal” program. But I was in for a rude awakening. We were at at small conference center. It was just after lunch, half way through the program, when suddenly two teachers started to cry, accusations were made and two staff members became so angry they jumped in their cars and sped off with gravel flying! The workshop came to a standstill. What should I do? Do I continue on with the workshop? Do I cancel the workshop and send everyone home? Do I address what just happened and if so how? On Tuesday August 22, 2006 at 1pm EST you can learn how I made the shift from leading a teambuilding games workshop to leading a crisis intervention workshop (the staff was on the verge of mutiny) and helped this team move forward in a healthy and conscious way. I’ll even share a teambuilding game I led that helped create an opening in the group that allowed for calm and deliberate discussion. FacilitationFirst.com will be joining me to share a three step strategy which will help any facilitator manage a “facilitation crisis” with poise. When you hear the strategy Michael has to share you’ll be ready to professionally handle a situation where you’re called into deliver “X” facilitation only to discover at the event that the group needs “Y” and you must change mid-stream. At the end of the call we will provide all who've registered with detailed written instructions on how to lead the team building game AND detailed written instructions on how to lead the facilitation process. NOTE: Your registration fee includes a license to use BOTH the facilitation process and the teambuilding game with the groups you directly serve. This is an exciting collaboration between Michael and myself as we bring you the best of both worlds: teambuilding games and facilitation skills. CLICK HERE to register. Registration closed. Clear and detailed notes on how to lead the teambuilding game - - your registration fee includes a license to use this teambuilding game with the groups you directly serve. Clear and detailed notes on how to lead the facilitation process - - your registration fee includes a license to use this facilitation process with the groups you directly serve. A recording of the TeleSeminar in mp3 format. Time with Michael and Tom during the Q&A session. This is your time to ask questions about how to apply the lesson with your team. Michael Goldman is the senior consultant and President of Facilitation First. With over twelve years in the field, Michael facilitates and designs interventions to meet the changing needs of his clients' business strategies. Michael enjoys long standing relationships with a diverse clientele ranging from financial institutions to First Nations. Among his areas of expertise, Michael has a passion for team interventions, guiding strategic planning sessions, and building internal capacity. 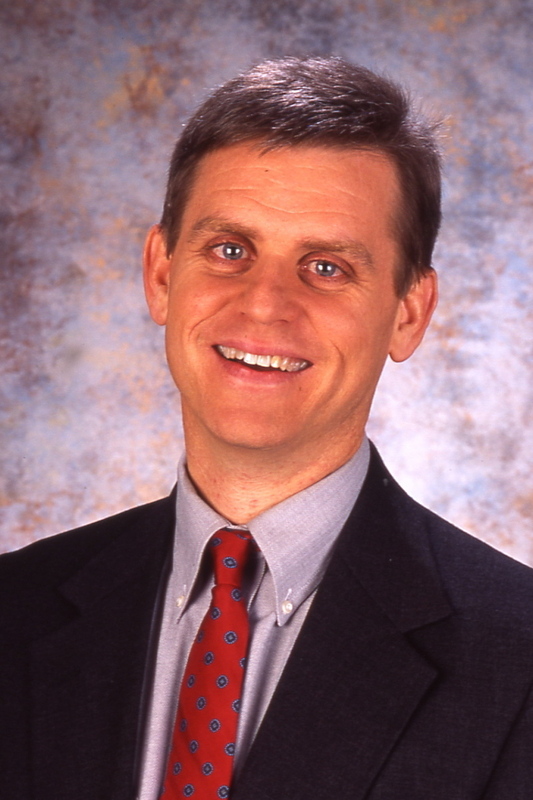 Tom Heck is the President & Founder of the International Association of Teamwork Facilitators. Tom is a veteran of the team and leadership development field and has trained leaders and Teamwork Facilitators from North America, Europe, the Middle East, Africa, the Caribbean, Central & South America, and Australasia. The tools he’s developed (books, multimedia training CDs, teambuilding activities, audio programs, etc.) are used by facilitators, trainers and coaches to transform teams around the world. Through the IATF, Tom leads a team of subject matter experts (Visiting Faculty Members) who provide cutting edge strategies, tactics and tools for Teamwork Facilitators around the world. As a coach and trainer, I work with managers who need to be able to get their teams and workgroups on the same page. In this interactive teleseminar, Michael Goldman and Tom Heck provided a clear, easily understood model for reaching consensus in any group and an experiential activity that helps people "get it." The top-notch content and thorough notes were definitely valuable. If you want to improve your skills at consensus building, this class is your answer. I look forward to future teleseminars on related topics. Keep up the great work! On August 18, 2006 Tom Heck, President & Founder of the IATF, offered a free teamwork coaching session. Michelle, a nurse and staff trainer, called in asking for help with a training design for hospital staff. Michelle was asked to design and lead a one day (6 hour) "teambuilding" event for 120 hospital employees. Listen in as I work with Kathy to design her program. The Bandanna, Cup, Marble teambuilding game requires a group of 4 to 8 people to transport a marble sitting atop a cup (upside down) from point A to point B.
IATF members receive instant access to our growing online archive of teambuilding games. Learn more about all the IATF member benefits HERE. Transport a marble balanced on a cup from one point to another. Create groups of about 8 people and supply each group with one bandana, one marble and one plastic cup (the plastic cup should have some kind of lip on the bottom of it). The group surrounds the bandana and holds on to it with both hands along the edges creating a tabletop effective. The cup is now placed up side down on the bandana then the marble is placed on top of / balanced on the cup. The group is now asked to transport the bandana-cup-marble from one point to another. If the marble falls off the group must start again. Everyone must hold on to the edge of the bandana with both hands. The bandana must be kept tight and flat. The supplied equipment (props) may not be altered. No other supplies may be used. This is a great activity to do with a small group (6 people) or with large groups (200+ people). It is versatile, inexpensive and easily transported. I once led this activity at a retreat for a group of school system volunteers (adults). There were about 30 people so I had them form into 3 groups in one of the meeting rooms. After everyone was set to go with the activity, I asked them to place their bandana-cup-marble assembly on a small table in an adjacent room SIMULTANEOUSLY. There was only one doorway and to the other room so the teams were forced to wait on each other. The table was small which forced the groups to communicate and create a plan. I had everyone circle up in their small groups and answer the following questions: What metaphorically is the bandana, cup, marble, and table relative to your job in this organization? I gave the groups 15 minutes to create a presentation, which they would be giving to the other groups. The group loved the activity and loved the discussion as well as the presentations from the other small groups. Place obstacles in the path of the group such as a tables or chairs. Consider having the group go up a flight of stairs. Use a taller cup and a larger, denser ball (like a baseball) to make this lots harder. Fill a cup of water and balance it on the bandana. If you want to get folks really wet, have them transport the cup by holding the bandana above their heads. I learned this activity from Sam Sikes, author of “Executive Marbles” and “Feeding the Zircon Gorilla”. IATF Members receive immediate access to our growing online archive of teambuilding games. CLICK HERE to learn about all the member benefits! When you Google the phrase "teambuilding game" you'll now find TeachMeTeamwork.com on the front page of the organic results. This is amazing and delightful because just a week ago TeachMeTeamwork.com could only be found on page 57 of Google's organic results. What happens when you're listed on the first page of anything Google? For one, I'm getting LOTS of newsletter signups which means I'm reaching LOTS more people which means I'm realizing my grand vision. In a recent teleseminar I shared 4 key strategies I've been following to make my website remarkable. You can download the recording of that teleseminar HERE. Read what people have been saying about that teleseminar here. The Elastic Bulls Eye teambuilding game requires the team to release an elastic string in such a way that it falls into the bucket or inside a circle on the ground. If you use a bucket as a target this game is nearly impossible to solve. There are no tricks to solving this. It takes a great deal of focus and communication to solve. Hi! It's Tom Heck with the latest issue of the TeachMeTeamwork.com e-newsletter you subscribed to. I've provided some links below to help you access all the new stuff quickly and easily. Please forward this newsletter (this link) to your friends. I’d love to hear from you. Send me an email How can I best support your teambuilding efforts? Check out the new format. Bigger videos. Login not required. You're leading a teambuilding workshop and half way through the day-long program two people get so mad (at the leader of the team) they are in tears. Accusations and threats start flying and people stomp out. What do you do next? This is a true story and I'll share what I did that worked. CLICK HERE to learn more. I got a call from Stephen M.R. Covey's office (that's the eldest son of Dr. Covey) asking me to fly out to Salt Lake City to help improve a workshop design. CLICK HERE to read what happened. I received an email from one of my newsletter subscribers accusing me of bragging and being annoying. CLICK HERE to find out what happened next. This just in! When you Google the phrase "teambuilding game" you will now find TeachMeTeamwork.com on the FIRST page of Google's organic listings. What does this mean? CLICK HERE to find out. Call into the TeachMeTeamwork.com conference line this week Friday and ask a question of Tom Heck, Teamwork Coach. Tom charges $300/hour for coaching but this Friday it's free. CLICK HERE to learn more. I love building strategic alliances with conscious people who are playing big. Download the "alliance-ability" self test below. If you score 18 or higher please contact me. For an example of a great strategic alliance check out the Teams In Trouble programs I've developed with Michael Goldman. The Hole Tarp teambuilding game helps teams explore the obstacles they face (represented by the holes in the tarp) and the strategies they will use to experience success. For the past couple of days I've been attending a "Speed of Trust" workshop at Snowbird ski resort in Utah. The workshop is based on Stephen M.R. Covey's soon to be released book entitled "The Speed of Trust". Pictured to the left is Covey with Tom Heck, President and Founder of the International Association of Teamwork Facilitators. Covey's lead trainer for the Speed of Trust project is Barry Rellaford who is also a visiting faculty member at the IATF. Barry and Tom Heck (pictured to the left) are good friend who share a passion for building high performing teams. My job was to participate in the workshop and then provide feedback on how to make it more powerful through experiential learning exercises. Trust (lack of it) acts like a "tax" on a team / company / system. In the above example the Strategy and Execution remained the same AND YET the final result improved all because the "Trust Tax" was reduced. How do you increase trust (and decrease the Trust Tax)? This was the focus of most of the workshop. At the end of the workshop we developed a "Wave of Trust Action Plan". I highly recommend this workshop if your organization is ready to move at the Speed of Trust. And finally, I have to share a picture from the top of a mountain (11,000 ft) near the training center (click on photo to enlarge). I received an email from one of my newsletter subscribers accusing me of bragging and being annoying. It was kind of hard to take. Rather than deleting the email and allowing this person to continue on their path without interuption from me, I decided to respond. I don't know if you'll even get this, because when you send stuff, it's obviously in HUGE BULK. You're regular e-mails have been quite repetitive; to the point of being annoying. When you constantly speak of the money you have made, and the 'strategies' YOU use to build YOUR subscriber lists, bank accounts, etc... it becomes BRAGGING, and eventually becomes VERY annoying. You are being removed from my e-mail list. I have been working as a teambuilder professionally for 2 years. Honestly, if your programs work, they speak for themselves. To Heck with the bragging! The "Build a List" teleseminar you refer to was offered one (1) time. It is the only time I've shared how much money I made by selling the multimedia CDs I've created. Why did I share the dollar amount ($10,000 in 5 days)? Many who subscribe to my newsletter are small business owners / entrepreneurs (independent trainers, facilitators, coaches, etc.) and dollar figures tend to grab their attention. I offered the "Build A List" teleseminar to help other small business owners / entrepreneurs realize their dream quicker. I want to help others who are choosing to play big and help people on a global level while also living a life in harmony. I've been self-employed for the last 10 years and I've invested tens of thousands of dollars in my business and was, at one time, in serious debt all because I didn't know how to live my dream of helping people on a global level AND make money. How many people have a big dream but go broke (spiritually, emotionally, physically, financially) doing it? I've gone through some very scary times in the last ten years and had many a heart-to-heart conversation with my wife to discuss giving up on my dream. I thought many times about giving up because of my concern for my two young kids (ages 2 and 7). You can relate to my fear if you've ever been unable to pay for health insurance for your kids or wondered how you would put clothes on your kids if it wasn't for hand-me-downs from friends and relatives. I didn't give up. I stuck with it. And the "Build A List" teleseminar represented a way for me to share strategies I've learned (the hard way) that have helped me grow my business and reach more people all while being present in the lives of my children. You said: "Honestly, if your programs work, they speak for themselves." My business is working for me and I'm excited about it. I now serve 25,600+ people in 101 countries! There are some who would like to know how I've been able to experience this success (I receive regular email inquiries on this). If I operated from fear, I would say "Figure it out yourself". But that's not my way. Two people who attended my teleseminar own and run a teambuilding business out of their home. They want to grow their business so they can reach more people. If you were to talk with them, they would tell you they are called to do this work. And they have two children. What strategies would you offer them to combine their passion for building their business (to create positive change in the world) with their passion to be great parents? What if my teleseminar helped them do just that? Would it have been worth sounding like I was "bragging"? I apologize to for coming across as "bragging" and "annoying". I hope you can forgive me. You've raised a great point. One I don't want to get lost in our exchange. I would like to post your email and my response on my website which will allow others to comment on the same. I won't share your name or contact info (unless you tell me to). Why am I doing this? I've learned that the more transparent I am, the faster I will grow - - in my business and spiritually. Tom - Let me apologize for my attitude. I honestly didn't think you would even read my e-mail! Thanks for your honest reply, and feel free to use my e-mail for your site, without naming. the bills! I only do this because I love it. My heated e-mail stemmed partly from jealousy, and partly from frustration at work. I am currently the owner of a teambuilding business that never got off the ground. I had (and still have on standby) a website, framework, business plan and employees ready to go. Then, it was shot down before it ever got off the ground, due to a supposed 'conflict of interest.' I work for a non-profit agency, but was told if I went ahead with my business, I would lose my current job! I've been looking for another job ever since, but there is nothing in my area. Needless to say, I'm very frustrated! Rest assured that I am now a devoted subscriber! Thank you for your response, and again- I apologize for my attitude. I relate to the frustration you're experiencing over not being able to fully express your genius in your current job. Know this: everything you've gone through is perfect. AND it's also perfect that you have a strong desire for something more/better. When I stepped out into the unknown world of entrepreneurship ten years ago I was totally unprepared. The only thing I had was an intense desire to help lots of people. I was told by many people that most businesses fail within the first couple of years (the odds were against me) and that it would be "safer" to get a job. But I don't believe we were put here to live a "safe" life. What is the legacy I am leaving? What would I do if I knew I would not fail? If I knew I would be supported every step of the way?